Welcome, everyone, to the third full season of Fantasy WRC. 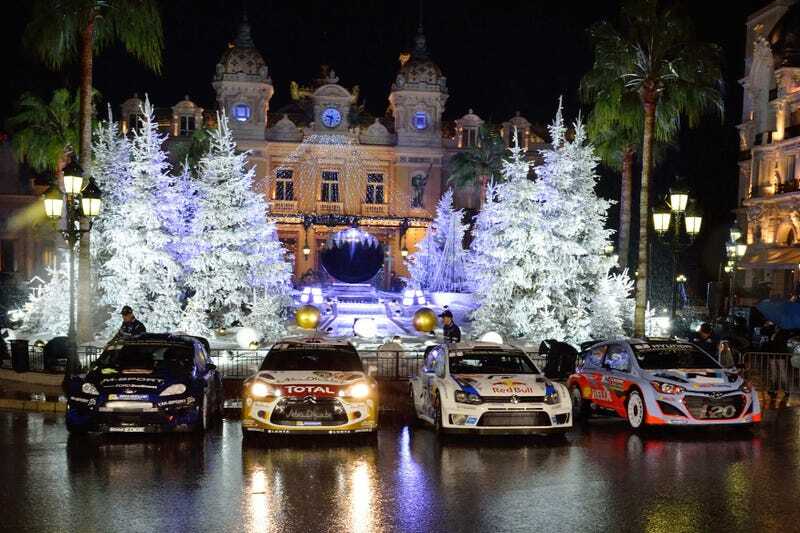 Monte Carlo is just ten days away, and I for one am itching for the new season to get underway. I’m also looking forward to stomping that lousy usurper Lumpy44 into oblivion and returning to my rightful place as king of Fantasy WRC. For each round you are to pick five drivers, ranked in the order you expect them to finish. No two drivers can be from the same team, though they can be on separate teams run under the same manufacturer. So, for example, you can’t choose Ogier and Latvala, but you can choose Ogier and Mikkelsen, because officially Mikkelsen is on “Volkswagen Motorsport 2.” All entered drivers are eligible for fantasy competition, be them WRC, WRC2, RGT, etc. At the end of the season your best nine rounds will be counted. That means if you started late, missed a couple rounds, or managed to have all your picks drive off the same cliff in Portugal it won’t ruin your season. The season standings will be maintained in this Google Spreadsheet. For an idea of what it will look like once the season gets underway here’s the 2014 season spreadsheet. I try to update the fantasy standings within 24 hours of the end of the rally, but may be late some days due to work/travel. I do promise to always have the stats updated by Thursday at the latest, with the possible exception of the Rally Argentina round, which could be a week or two late, because reasons. (1) for each of your five main drivers you earn the same amount of points the driver earned (minus earned power stage points). (2) the top five power stage finishing drivers will earn fantasy points, with those points being given out as follows: 1st-6pts, 2nd-4pts, 3rd-3pts, 4th-2pts, 5th-1pts. (3) If the driver you predicted to win does, in fact, win, you will earn three bonus points. (4) If all five of your fantasy drivers finish in the points in the order you predicted you will earn ten bonus points. (5) Each fantasy competitors nine best rounds will be counted toward their final season score. That means if a player is forced to miss a couple rounds or simply gets their picks all wrong a few times it won’t necessarily cost them a decent result. (6) Tie breakers: If, at the end of the season, there is a tie at the top of the standings, the tie will be broken using the following methods, in order: Most round wins, round 2nd place, round 3 place, round top 5’s, round top 10’s. We won’t just be playing for bragging rights this time, we’ve got legit prizes. There will be two prize-winners at the end of the season, the overall season champion and the player who scored the most points in a single round. ** Each will get their choice of one of four 1:43 scale model rally cars, with the season champion getting first pick. Due to shipping costs only U.S. and Canadian residents will be eligible for the pictured prizes, unless the overseas winner is willing to cover the shipping. EDIT: Fantasy players outside the U.S./Canada are still eligible for a 1:43 scale model, with the exact model they receive TBD by availability. UPDATE: Formula Photographic, the magicians behind the Subaru Launch Control web series, have sweetened the pot with plans to add some Launch Control and/or WRC prizes. That’s pretty much it. Whether you’re a returning player or a new competitor, thank you for being a part of the 2015 Fantasy WRC season. I’ve had fun putting this on and expanding the program each year. We had 39 players last year, hopefully this time around we’ll break 50.